Thanks for your ongoing support and feedback and I am taking your advice as of right NOW! I am going to start publishing the recipe steps on the main page so that you don’t have to keep clicking back and forth between pictures every time you want to check out the next step in the recipe. You can still click on the pix for a quick reference if need be. Let me know how this new format works for you. In a large pot add olive oil (about 2 turns round the pot) and cook onions and celery until tender and soft. In a bowl combine cinnamon, ginger, curry powder, nutmeg, cumin and salt. Mix well and set aside. Once your celery and onions are soft add kale and half of your spice mixture and mix into your pot. Once the kale has wilted add your vegetable broth and bring to a boil. Add beans, tomato, broccoli, sweet potato, raisins, peanuts and chili flakes to the pot and boil until the sweet potatoes are soft. Cover and let simmer. The stew will thicken and the flavours will become more complex the longer you let it sit. 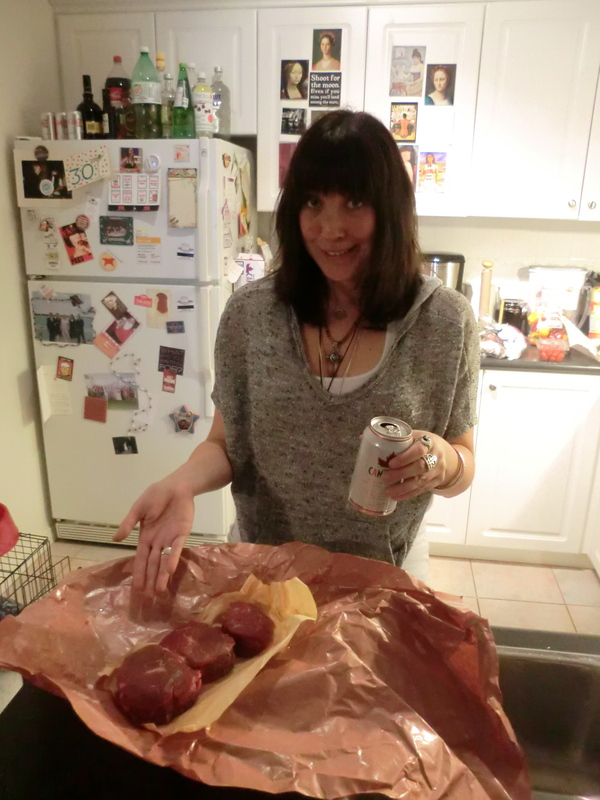 This is the first time blogging with my new stove. Thanks to Todd and Brian for the awesome hook up! 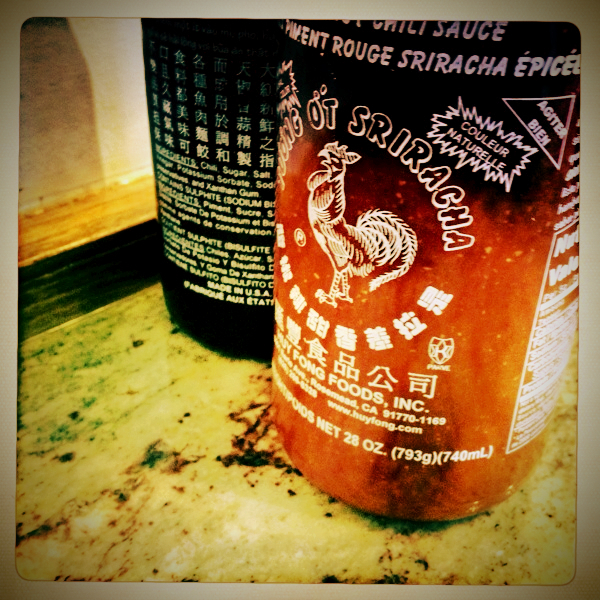 I often use sriracha in my cooking and i have to confess it goes on as a condiment for nearly everything. I first discovered this delicious and spicy ketchup like sauce (don’t let the look of it deceive you!) about 8 years ago. I can’t remember the why or the how but I do know that’s about the time I started getting a lot more adventurous with my meals. Anyway this afternoon, I was sitting at a restaurant in China Town when I started to think about all the things that you can do and make with sriracha. My secret combo is an olive oil, maple syrup, lemon juice and sriracha mix; Incredible as a marinade or even a salad dressing. Here’s my challenge: Send me your favorite ways to use sriracha and i will post them on this site and use them in my own foodventures! I cannot wait to discover some new ideas with my cannot live without condiment. On Saturday evening I had a delicious dinner at The Academy of Spherical Arts and one of the items on the menu inspired the creation of this salad. Roasting beets in my new favourite thing, it takes a while but it is so worth it. This dish is simple and so so so delicious. Add your greens and your cheese! I love this salad and I guarantee that you will as well. These days I’m really busy working a production in Toronto opening Feb 10th, 2012 called War Horse. This is one show that you will not want to miss! Find out more about War Horse here. Want to make your house smell incredibly delicious? Spread em on a cookie sheet. Roasted Tomatoes are incredible in pasta, salad, soups…use your imagination. I was so busy using these to make a delicious pasta recipe that I didn’t have a chance to take a picture of the final product. If you click here you can get an idea of what your roasted tomatoes should look like when they are ready! The smell alone is worth the time to make this dish. Cleanse Day 6, Success Rate: 80%: I have been to the gym everyday except for Thursday and I have gone to yoga 2 times on top of that. Thursday was a terrible day for the cleanse, I woke up feeling really tired and low energy; Fastforward to 8:00pm and a visit from my sister and a long line up for dinner at Fresh and it made it easy to talk myself into a martini and dinner at Il Fornello. Anyway, a few hours off the cleanse train didn’t hurt me, although I do feel a bit lame about giving in, but clearly my body was craving vodka, sausage, pasta and cheese (i think it was probably a matter of life and death!) and so…I indulged. I woke up Friday morning and jumped right back on and am going strong. Today, I am heading to a clothing swap at my gal pal Kelly’s place and I promise promise promise not to indulge in Mimosas’ and Chips! Since it is the end of October, I thought I would cook up something seasonal and festive: a Vegan Pumpkin Loaf. I love fall, so many delicious recipes. Any plans for Halloween? Tell me about em and of course about what you’re eating! For those of you who know me, you know this is going to be tough. I LOVE LOVE LOVE all the things that I am banning over the next 10 days. For those of you who don’t know me 10 days doesn’t seem very long does it? So far today: 1 hour at the Gym and 1 hour of yoga, none of the illegal foods/drinks in my body. I’m excited to see if I feel any different on the other end. 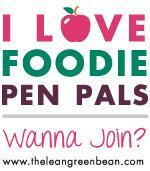 Wish me Luck or join me in doing your own Challenge/Cleanse/Stupid Idea! 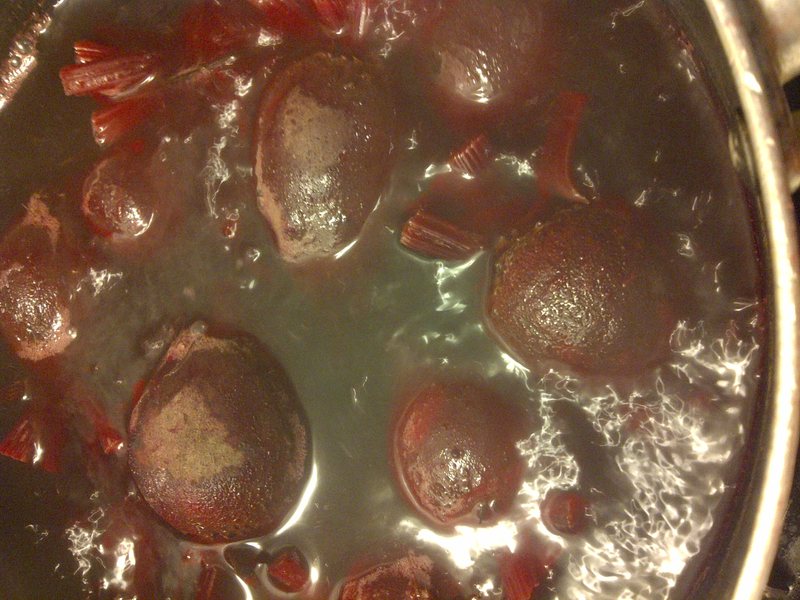 I am boiling delicious beets. Yum! Thanks to the fab Erin for delivering all sorts of goodies from her garden! A very chilly but happy saturday happening here!